Militants opened fire near Troyitske and Avdiyivka. One Ukrainian was killed and two wounded as a result of six shooting attacks by pro-Russian militants on 2 March, the antiterrorist operation HQ has reported in its evening update on Facebook. 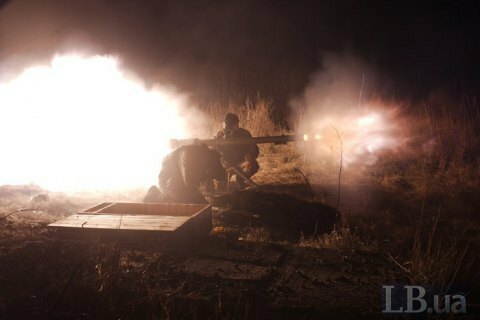 In the Luhansk sector, the Russian occupying troops fired with 120-mm mortars on the Ukrainian army positions near Troyitske. In the Donetsk sector, the enemy launched repeat shooting attacks with mortars of various systems, grenade launchers and small arms against Ukrainian strongpoints in the suburbs of Avdiyivka. The serviceman killed today was the 2,383rd soldier killed in combat since the beginning of the year. The Ukrainian army has had 927 non-combat losses over this period. Apart from the Ukrainian army, there were fatalities among members of the National Guard, the State Border Service, the Security Service of Ukraine (SBU) and volunteer fighters.